Kauveri is considered to be as sacred as the Ganges throughout its course, with the same power to wash off all one’s sins. There are Shiva temples all along its banks visited by Saints like Sambandar, Thirunavukkarasar and Arunagirinathar who were sang hymns on the deity and goddess. The Thirupparaithurai Shiva temple located in the south side bank of the river Kauveri which is 16km away from Thiruchirappalli City and 340 km from Chennai. It is considered to be the 3rd in the series of Devara Stalams(Tamil Bakthi literature serial) in Chola kingdom. An ancient period Rishis were did Yagna together in the forest Dharugavanam. 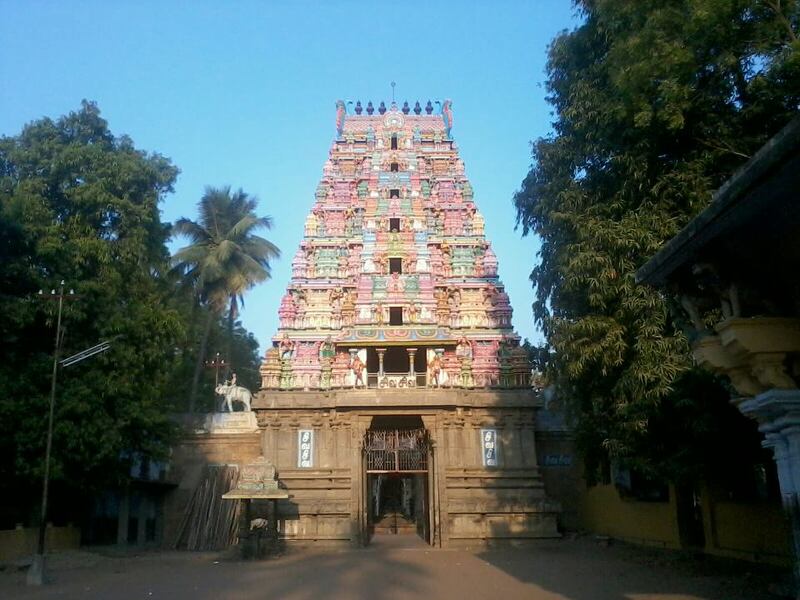 Thirupparaithurai Shiva temple known as Dharugavanam in Sankrit. It was so called because the entire forest was full of Parai trees once upon a time. Now this temple is under control of Hindu cultural Department of Tamilnadu Government. In 1942, Founder Swami Chidbhavananda was stayed in the temple and established Sri Ramakrishna Tapovanam. This temple was taken renovation work and Kumbabishekam held on 1998 in the memory of Swami Chidbhavananda’s 100th year birth celebration. After 12 years, The renovation works at this temple are almost complete and Sri Ramakrishna Tapovanam have proposed to perform the Mahakumbabishegam for Sri Hemavarnambigai sametha Sri Dharugavaneswarar on July 14th Sunday. So pilgrims and devotees are requested to giving donations to the Kumbabishegam works for the temple. Cheque senders make it in favour of “Sri Ramakrishna Tapovanam” and Write down “Siva Pooja 2012-2013”.